Interesting Facts: Emolga is a rodent-like Pokémon, primarily white in coloration, that most resembles a flying squirrel. It possesses facial features similar to Pachirisu's, such as its eyes, tiny nose, and yellow cheek patches. Its ears, positioned at the top of its head, are rounded in shape and black in coloration, with yellow and white sections of coloration in the inside of its ears. Emolga sports a vaguely hood-like patterning of black around its head, with a spiky extension of the pattern above its face. 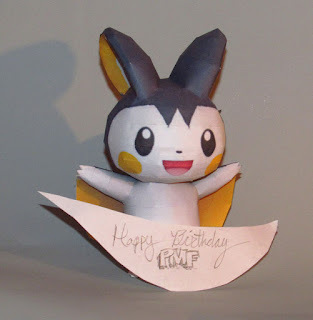 Emolga possesses winglike, yellow-colored flaps connected to its three-fingered arms. Its feet are white-colored and fairly small and its black-colored tail is in a jagged shape. NOTES: Notes included. Follow the numbers, but be sure to build and set aside the tail/back combination before attaching. Be careful with the tail and feet, they're the trickiest parts. And as always, be sure to 'pre-curl' the round parts of the head and body. To do so, simply use a colored pencil or x-acto knife handle, place the piece face down in your palm, and rub it into a circle with the tool. No need to glue the base, simply place it under the tail. Favorite Generation V. Thanks guys! Happy belated birthday! I hope you had a great day. 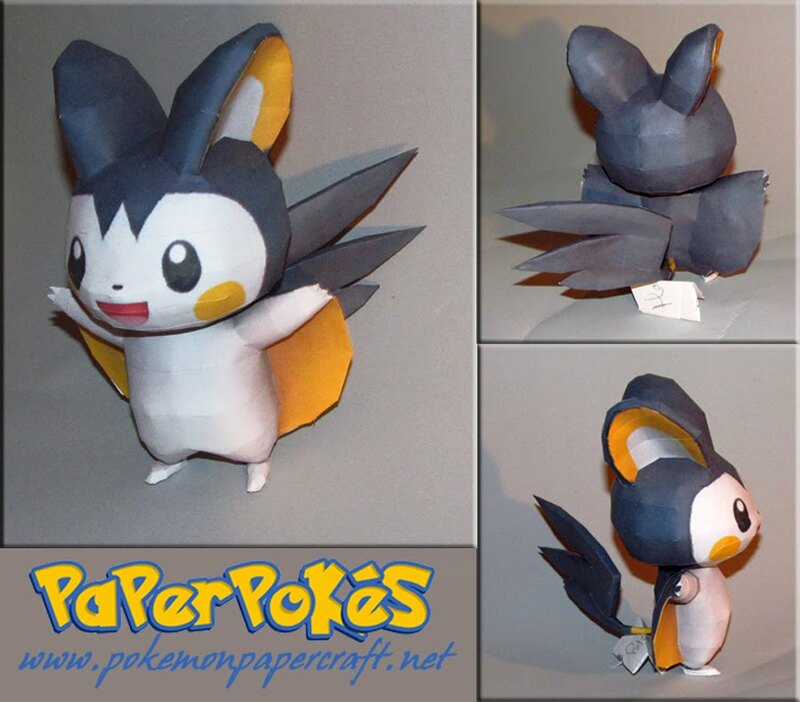 as much as i absolutly hate emolga, this papercraft is too awesome not to do! Awesome! Any chance of a chibi Emolga some point in the future? That would be amazing, and so adorable!